This entry was posted in K-12 General Science, reports, STEM. Bookmark the permalink. 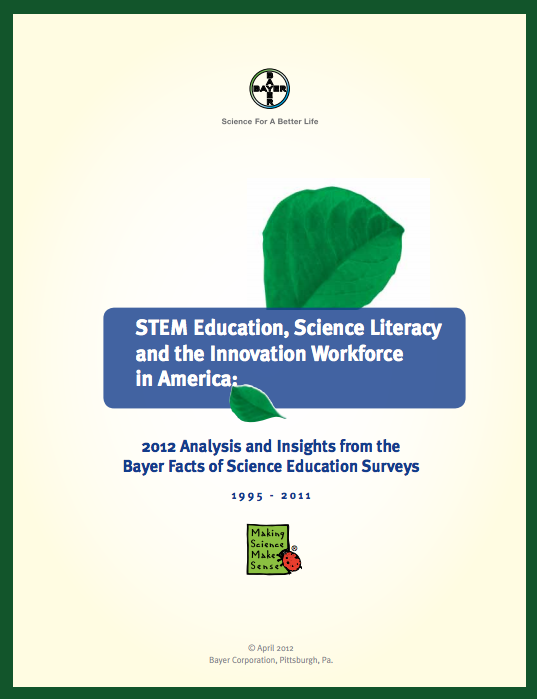 As an Minneapolis Public Schools elementary school teacher and founder of STEM is Elementary LLC, I also read the Bayer Foundation’s report and loved it! Our national focus on reading and math to the exclusion of all other disciplines needs to change. I applaud your efforts to share the news!